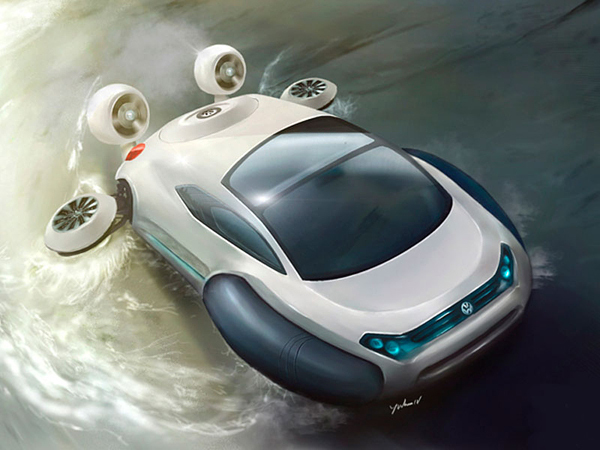 Futuristic vehicle Volkswagen Aqua hovercraft concept designed by 21-year-old Yuhan Zhang from China is powered by Hydrogen and propelled by impellers. 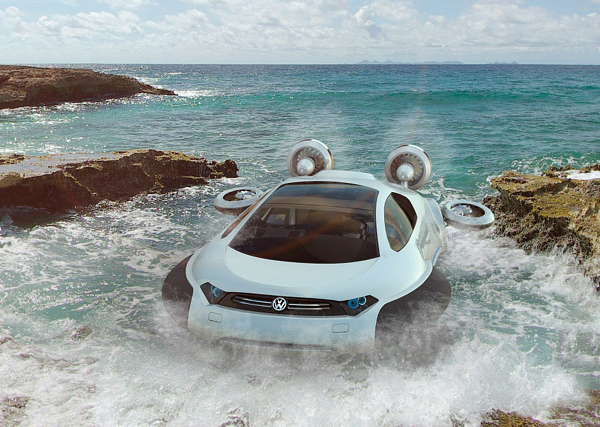 This Volkswagen concept was designed to cope with the variety of terrain covering China, from the lakes, rivers and coastal waters to the roads, wetlands and snow. 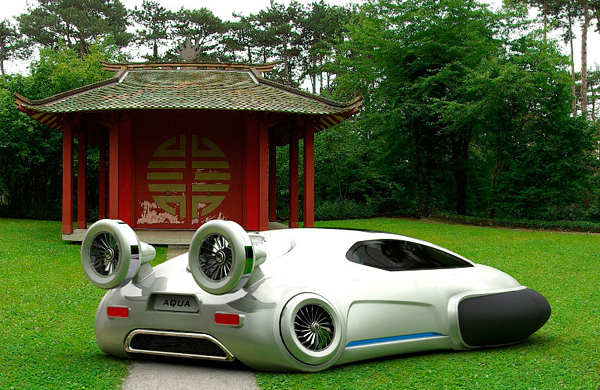 The concept was shortlisted in the CDN Car Design Awards China in the “Chinese off-road Vehicle” category. 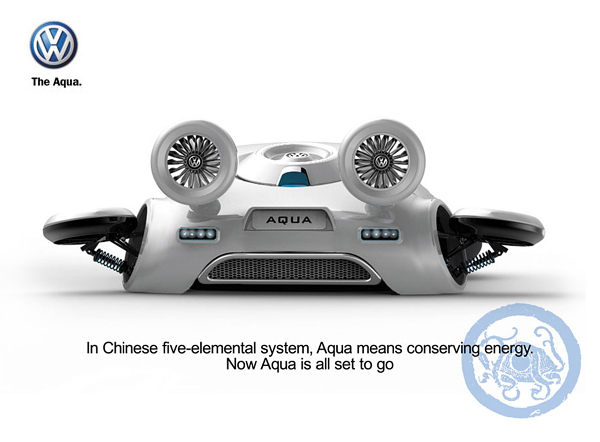 The Volkswagen Aqua features 2 motors: the main motor obtains power from a hydrogen fuel cell and it is used to drive the main fan; the other fans, located at the rear, are powered by individual electric motors. 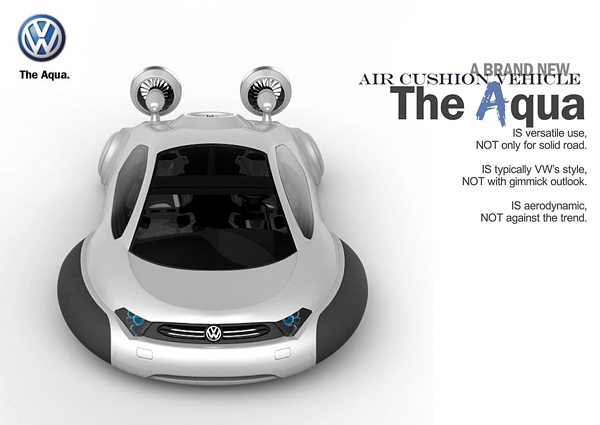 It would be probably very hard to find proper Volkswagen car parts for this concept. 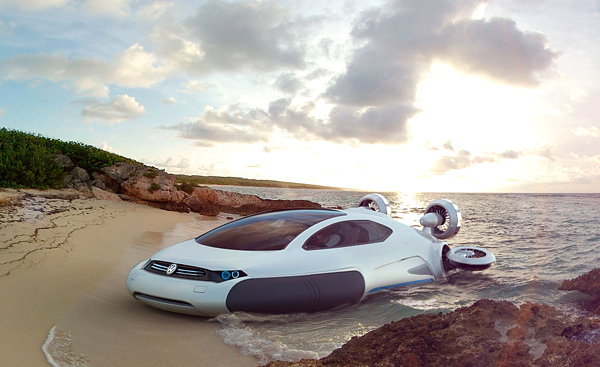 And it’s not an individual vehicle – the Volkswagen Aqua can accommodate two passengers. 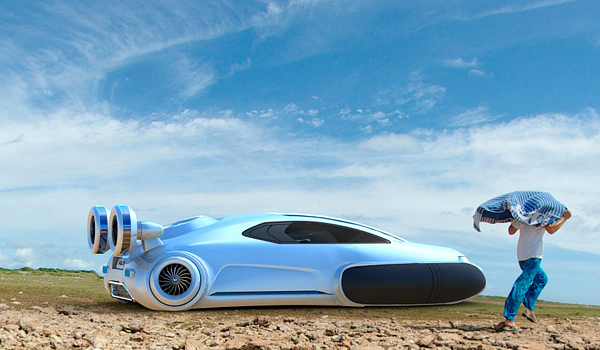 Future is near! 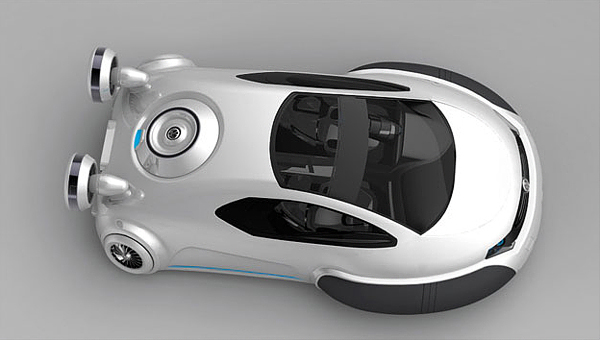 And we strongly recommend you to check more cool concept cars. esto es el futuro muy buena. 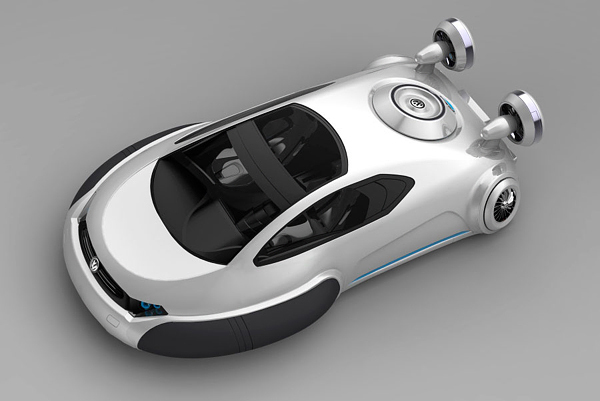 it, is very cool, I like car. 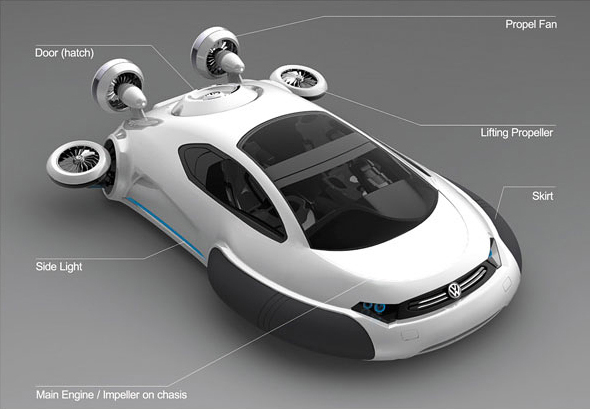 Love it I would love one when and if it were to be built.